Unfortunately a common sight in emerging economies is a global brand in a prime real estate position, this is particularly true for franchised food brands. This is economic opportunism at its finest, global brands entering emerging economies and developing nations, bringing an inferior product based with sales derived from the brand and name more than the food product itself. This worked in America and Europe, why not developing countries? Does Thailand, home of some of the finest cuisine in the world with an abundance of fresh food, need Big Macs? KFC? Thailand has doughnuts, so why the line that stretched for over 2 kilometers for the opening of the first Krispy Kreme in Thailand? Certainly many local people want to try that piece of Americana they see on TV- a hamburger (the Thai word is Hamburger) or fries (Thai word is marn-farang- tord; marn means potatoe, farnang is white person, so potatoes of white person). But coffee? Thais have coffee (gar-fair, pronounced like caf-fee) and tea on the street, in their homes and offices. Many varieties of coffee and tea, hot, iced, with or without milk and usually sold by vendors in small, portable carts on the street. Starbucks, the big green bastardizing coffee experience machine, has shops in prime locations around Bangkok. A cup of coffee on the street is 15 Baht, a cup of coffee in Starbucks is 80 Baht. Paying a premium of 5x to enjoy the sweet sounds of the latest Starbucks CD? And no free Wifi! Why you money grubbing, put a logo on everything, experience homogenizing sods! What they are selling is actually a place to meet and sit in air-conditioning, not the coffee experience. 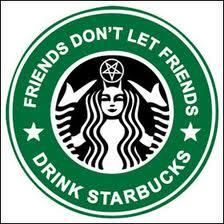 The horror, will Starbucks define the coffee experience in Thailand and other countries in the future? I watched for the past two months as an old Thai house was cleaned up, new windows installed, trash hauled out of the yard surrounding the building. I hoped it was a restaurant. Oh, but better. A beautiful coffee shop, and only 4 minutes away from a Starbucks- my study of global brand against local ownership begins! Re-Cafe is the name of the local coffee shop has Japanese Drip Coffee, great Thai Iced Tea, green coffee by the pot and fresh, local sweets. You order and are served at your table! Yes, service! And not like the big green brand where you order, wait and tote your 80 baht in a cup to your table. The location is not as convenient for walk-ups as the Starbucks location, but the place was filled to capacity on Saturday afternoon. In case you are in Bangkok and want to support the locals- ask a Taxi to drop you on Soi Langsuan at Starbucks. Walk directly across the street heading left, take a right at the first small soi (really a large alley) you see. The road will take a sharp right turn, then a sharp left and the coffee shop will be off to your right as the road curves left again- it is between Soi Langsuan and the Ratchadamri BTS area, including the Four Seasons Hotel. You can also enter the small soi from the Four Seasons side. In fact, when you come to Bangkok, support the locals. Why visit a Starbucks another country? Seriously? If you are from the USA or Europe, why come all this way for a gentrified coffee experience you can have at thousands of locations in your home country? Footnote- yes, I wrote the story about 7-Eleven- https://faranginbangkok.wordpress.com/2010/02/23/the-center-of-commerce-in-thailand-7-eleven/ being the center of Thai commerce. Yes, 7-Eleven is an international brand and chain of stores. How can I support 7-Eleven and not Starbucks? 7-Eleven adds a value to neighborhoods in Thailand by adding convenience and providing products that meet the needs of locals, bottled water is 8 Baht, payment services are offered as many Thai people don’t have credit cards or checking accounts, inexpensive food and milk dominate the shelves- Thai people love “seven” and make up the majority of the clientele. Starbucks offers nothing unique for the local market and the high prices leave most Thai’s unable to afford the coffee, the clientele appears to be split close to 50/50 or even 60% ex-pat and 40% Thai. 7-Eleven is a market leader, Starbucks is a market laggard (Black Canyon Coffee is popular) and just keeps stores to have a brand presence. This entry was posted in Bangkok, Culture, Food & Restaurants, Sightseeing, Thailand and tagged Bangkok, Coffee, current events, Farang, lang suan, re-cafe, relocation, Starbucks, Thailand Travel, travel to Bangkok now. Bookmark the permalink. Your opinions on Starbucks aside, some material facts on their performance are not available to you unless you audit the books of the owners of the Thai franchise. You’re delusional if you believe the investors, whether Thai, Japanese or American, are going to maintain an unprofitable enterprise for long, just to maintain brand presence. What purpose would there be to maintain a presence and lose money? I’m frankly bewildered by your logic. As to your assertion that Starbucks doesn’t offer anything unique…well, one really wonders if you have ever entered a Starbucks. The street carts, which sell excellent coffees at prices affordable to most, don’t offer anywhere near the variety. 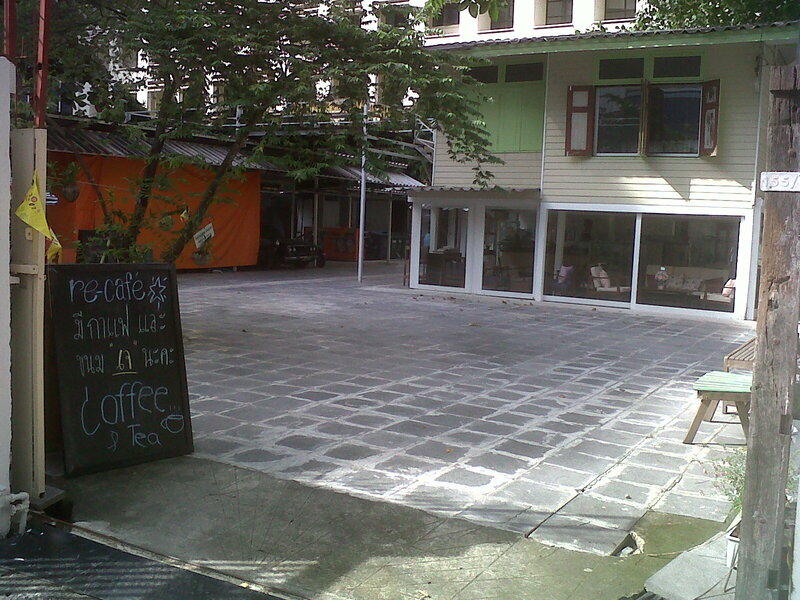 And are you asserting that the competing coffee house(s) prices are within the reach of most Thais? Your mini rant is a bit like someone arguing against the existence of a Mercedes in the auto market. You certainly have a right to your opinion, but the marketplace decides what stays and what goes. Many retailers keep stores open for a brand presence- you think all those Gucci stores pay for themselves in a place like Thailand? Yes, Starbucks has stores- at least 600- that were not profitable. Yes, they are closing them. Yes, they still have stores that are not profitable, but they are in prime locations, could turn profitable and- with terms of leases- might prevent a competitor from gaining a lease within a certain radius. I am happy I have a local coffee shop that cares about the quality of the coffee and service, learns your name and offers free wifi. 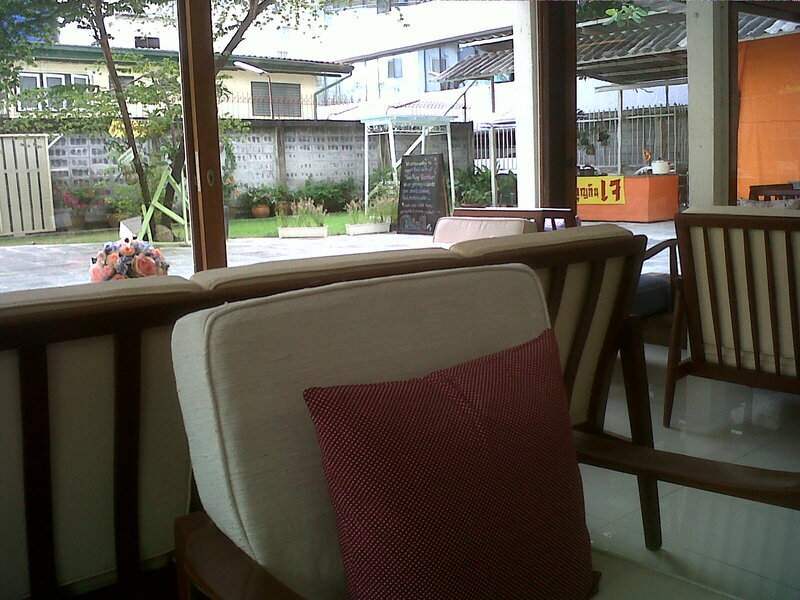 i was very touched by your article and the way you wrote about our cafe. we are all very new to this industry and am glad that some people like our place. we welcome all comments, good and bad. i am very retro and analogue, so was just searching the web-site to see how to do our own web-site when i stumbled onto your posting. thank you for the kind words, practically an ad for our cafe. my partner bakes the cakes ourselves and we also have a japanese pâtissier who bakes healthy japanese-style cakes, without butter or milk. we ask of our customers to take off their shoes, because we treat the cafe as our house. To welcome customers into an asian house, it is traditional to keep everything clean. i still have to guess which customer you are, i think i do have an idea. thank you very much again, please come back. we will try to keep up the standard and service.